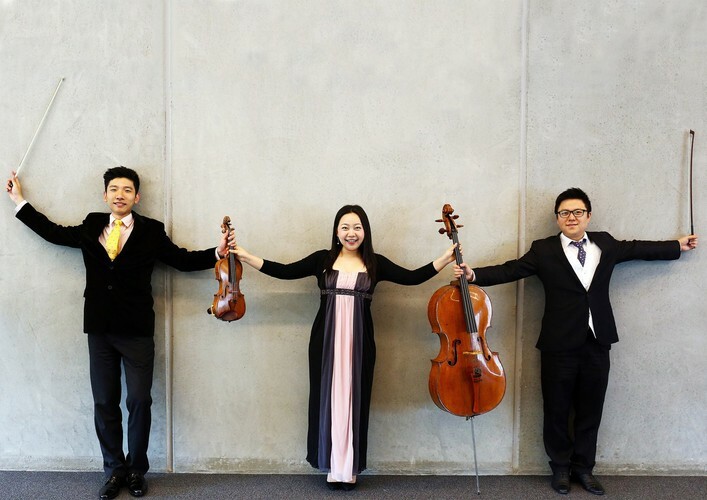 The Auckland Trio are touring the country for Chamber Music New Zealand and will be performing works by Mozart, Kodaly and Shostakovich. The group was formed in 2015 by three outstanding young musicians based in Auckland. James Jin (violin), James Yoo (cello) and Xing Wang (piano) are all high profile artists who had coincidentally started living and working in Auckland at the beginning of 2015. James Jin and James Yoo are permanent members of the Auckland Philharmonia Orchestra, while Xing Wang is currently completing her PhD degree in piano performance at the New Zealand School of Music. Adult $30 Student $10 from Rangiora Library. Ph. 03 311 8901. Door sales will be available on the night. Cash or cheque only please. This concert is presented by the Waimakariri Community Arts Council in association with Chamber Music New Zealand.